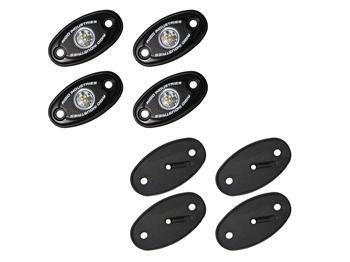 Rigid Marine Lights - Boat Deck Kit UNIVERSAL - Dezod Motorsports Inc - Home of the automotive performance enthusiast since 2002. 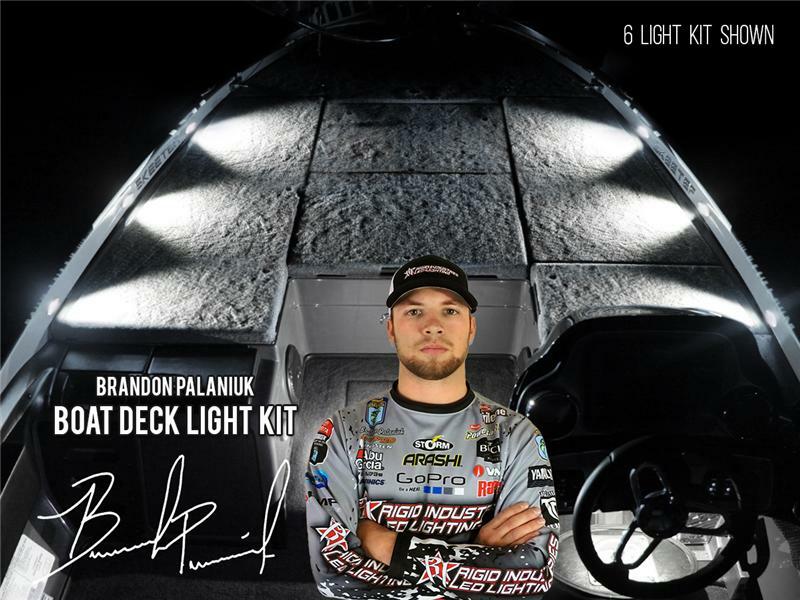 The elite Brandon Palaniuk Signature Series Boat Deck Light Kit from Rigid Industries is a must for every angler. Whether you’re trimming a jig the morning of a tournament or re-spooling the night before a weekend of fishing, this kit will provide you with the light needed to get the job done. The Brandon Palaniuk Boat Deck Light Kit is offered in a variety of colors and includes all wiring, mounting hardware, and instructions for a clean and easy install. Kit Includes – (4) or (6) A-Series lights with 15’ Leads, Distribution Block(s)* for Easy Wiring, 27’ Wiring Harness with Fuse & Switch (pendant switch or rocker switch), Mounting hardware, 3 Amp Blade Fuses (4 or 6), and 1 or 2 Switches (1 or 2 Colors).